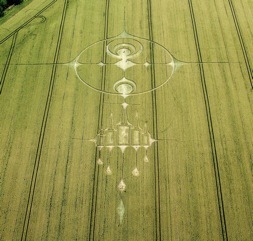 As I write, it has been a little over 3 weeks since I returned from England, and still I wake every morning having dreamt of the crop circles and the sacred geometry of those “temporary temples.” These mysterious creations cannot easily be explained and have entered my psyche, effecting me deeply. Like the palaces of deities in Tibetan Buddhism — carefully constructed of sand only to be destroyed and offered up in the realization of the impermanent nature of all that is — these present day sacred places are also palaces that remind us of a wondrous world beyond ordinary reality. 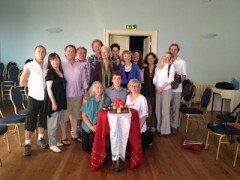 The Great Mystery is alive and well in 2012! Crop formation at the bottom first appeared on the afternoon of the burial of the Earth Treasure Vase. 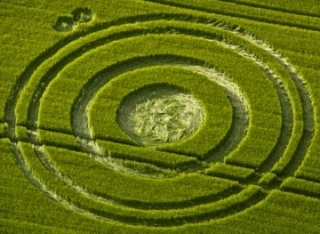 The circular formation at top was added on to the original a week later! 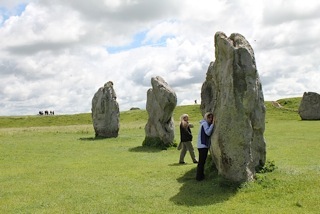 We began our 29th ETV pilgrimage in Wiltshire County, England, at Avebury — the incredible ancient stone circle that encompasses 28 acres and over 600 standing stones. Some regard the area as the umbilicus of Mother Earth. 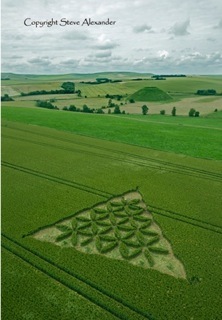 Key leylines, or planetary meridians, run through the landscape connecting Avebury to the cosmos and to sacred sites all over the planet. I was met there by fellow New Mexico Sangha members, Burke Denman, who knows the region well, and Felicity Broennan, who has spent much time in the British Isles. Burke had a strong sense of stewardship for this ETV and a clear sense of where it might like to go. He introduced me and our little vessel to a number of sites and took us into the crop circles that appeared in the landscape while we were there. 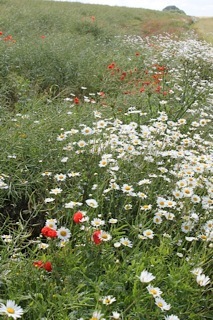 Felicity cooked delicious meals to nurture the search and warm us when the rain began to fall. We continuously asked for guidance and invited the local deities to bless and accept the vase as an offering for the Earth. 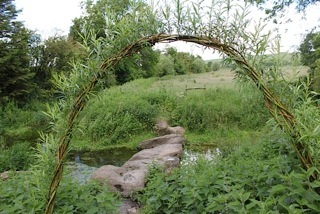 We felt it was wonderfully received and that the devas of that land were listening closely every step of the way…supported, I’m sure, by the many people who had been there for the solstice just a day before we arrived to make offerings and pray. The students of Wisdom University (many of whom are studying for their Masters or PhD’s) converged and were joined by several fellow pilgrims from our Sangha: Rachel Bliven, Susan Buchholz and Margita Kobler. 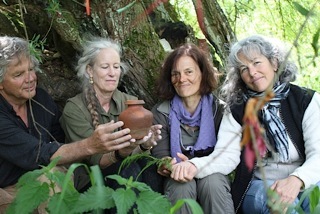 Sharing the ETV practice and meditating daily in and around Avebury, we explored, intuited and absorbed the energies of this sacred landscape and scouted locations for the vase. The whole landscape of Wiltshire County is completely enchanting — from the stone circles to the countless sacred places; the ancient white horses carved into the chalk that composes the layered earth; the vast fields of green rippling in the wind; the powerful leylines dotted with ancient trees, forests, pure springs and waterways; and, of course, the “temporary temples” that appear in a greater concentration here than anywhere in the world. After sharing the ETV in ceremony with local crop circle expert, Karen Alexander, and her husband Steve Alexander (crop circle photographer), Karen confirmed a location that Burke had suggested and I intuitively felt was “right.” We were so grateful for Karen’s certainty in directing us to such a beautiful spot. The Alexanders quickly became friends and allies, the local stewards of the ETV, and will fly over the location often as they photograph the land from above. After a week of meditating in and around Avebury, numerous ETV ceremonies, and visiting the crop circles, the Earth Treasure Vase was fully charged with prayers and offerings and ready for us to bring her home. We buried it on June 29th with great perfection every step of the way, on one of those days, in the history of the world, one will never forget. With a cloak of invisibility firmly surrounding us and the ETV, we made our way. First, to offer our final prayers, then to seal the vase, and finally to bury it in such a way that no one will know it is there — never to be disturbed. 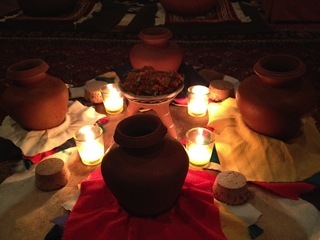 All of our intentions, prayers and offerings the holy vessel contained will certainly radiate out in every direction, bringing healing, protection, revitalization, and renewal to the land and all beings. We felt as if the vase was indeed fully received and that the global ETV mandala quickened significantly by the energies of this location connecting in with the Indra’s net we have been weaving all these years. There was much magic afoot that day as all the little details fell into place and synchronicities seemed to arise in every direction. A special thank you to Burke, Felicity, Margita and Rachel who all participated in the actual burial, each one holding the spirit of the vase with high intention and concentrated focus. We all felt very grateful for this unique opportunity to make such a potent offering to the Earth in such a long-held sacred place. Thank you also to Wisdom University for inviting me to join their Avebury pilgrimage and bring the ETV practice to that land and their students. And to all the participants in Wisdom’s Avebury Experience Pilgrimage, including the youthful, refreshing and hopeful spirits of James, Maya, Rachel and Kai. Your prayers and offerings, your interest in this practice of sacred activism, and your heartfelt presence in our meditations was such a beautiful gift. Thank you! Thank you to local ecologist Iain Donald, who pointed us in the direction of various locations we would never have known about and took some of us on a wonderful scouting expedition to explore the area with the ETV, explaining much about the history of the area and offering a local perspective to what we were learning from Wisdom’s faculty. A very big thank you to Karen and Steve Alexander. Knowing these local caretakers have formed a connection to the vase and will be continuing to keep our prayers alive (as well as receiving the blessings that are radiating from it) is truly a wonderful thing! Karen and Steve’s work to bring the images of the magnificent crop formations and their stories to the world needs to be supported. Please join me in visiting their website to see years worth of mind-blowing images and posts throughout the current season. Please help support their beautiful vision. Thanks to all of you who supported the accomplishment of yet another ETV with all of your prayers, offerings and heartfelt intentions. Your involvement from near and far in guiding this practice of sacred activism to its completion has been beyond my wildest dreams. Together we can transform our world and awaken our hearts and minds for the benefit of all! I know that something special has just happened in that enchanted English countryside that will assist in this process. May it be so. One of the final Earth Treasure Vases is now bound for Avebury, England, June 23–29, through a collaboration between the ETV Global Healing Project and Wisdom University. In the company of leading visionaries and thinkers in their respective disciplines, “The Avebury Experience” will offer a rich exploration of geomancy, crop circles, subtle energies, and the role of sacred sites, holy places and pilgrimage destinations in the life of the Earth and the human soul. To learn more and register for the pilgrimage, please contact us at info@earthtreasurevase.org or click here. The Earth is covered in thousands of holy places, sacred sites, and pilgrimage destinations. Avebury, considered the energetic umbilicus of our planet and held in the field of a vast circle of ancient stones, has always been one of the most sacred sites on our planet and is a veritable magnet for crop circles. Sacred sites function within the Earth’s geomantic terrain like an interconnected planetary system that supports higher consciousness in humans. During this week-long pilgrimage, we will explore Earth energies, mythology, clairvoyance, sacred geometry and crop formations. 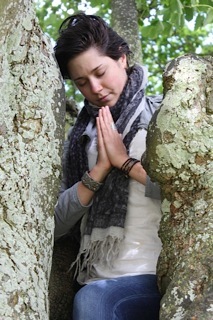 We will meditate in the ancient stone circle at Avebury, reflect on its energetic function and the crop formations in the surrounding area, visit Stonehenge — site of an ancient megalithic stone circle, and Glastonbury, legendary home of the Arthurian court and the center of ancient goddess worship in Britain. 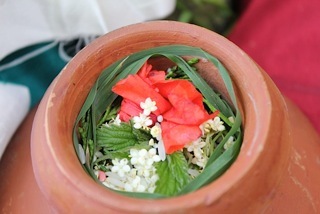 We also will connect our learning to an ancient practice of sacred activism by working experientially and ritually with an Earth Treasure Vase to turn our prayers into action. This simple clay vessel is filled with prayers and symbolic offerings and buried in the Earth for our collective intentions to radiate out into the fabric of the Earth’s geomantic terrain, quickened by the power of this sacred place. Working with the Earth Treasure Vase will allow us to align more deeply with the very energy of Avebury that produces the extraordinary crop circles. Where exactly will the vessel be buried? What are our prayers for the Earth? Through meditations at the sacred sites and inside the crop circles, we will open to the voice of the Earth herself, inviting guidance and answers to these questions. This will be a very special opportunity to bring a practice dedicated to the healing and protection of the Earth to one of the world’s great power places for activation and at a time when our prayers are profoundly needed. This pilgrimage is part of a course, Earth Wisdom and Primordial Mind, offered by Wisdom University and facilitated by Peter Merry, Director of Wisdom in Europe. 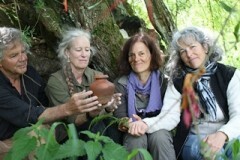 The Avebury experience will be guided by Richard Leviton, geomancer, author and clairvoyant; Karen Alexander, noted crop circle specialist; and Cynthia Jurs, Buddhist teacher and founder of the Earth Treasure Vase Project Global Healing Project. This entry was posted on Wednesday, July 25th, 2012 at 9:04 pm	and is filed under Burials. You can follow any responses to this entry through the RSS 2.0 feed. You can trackback from your own site.